Hey lovelies! 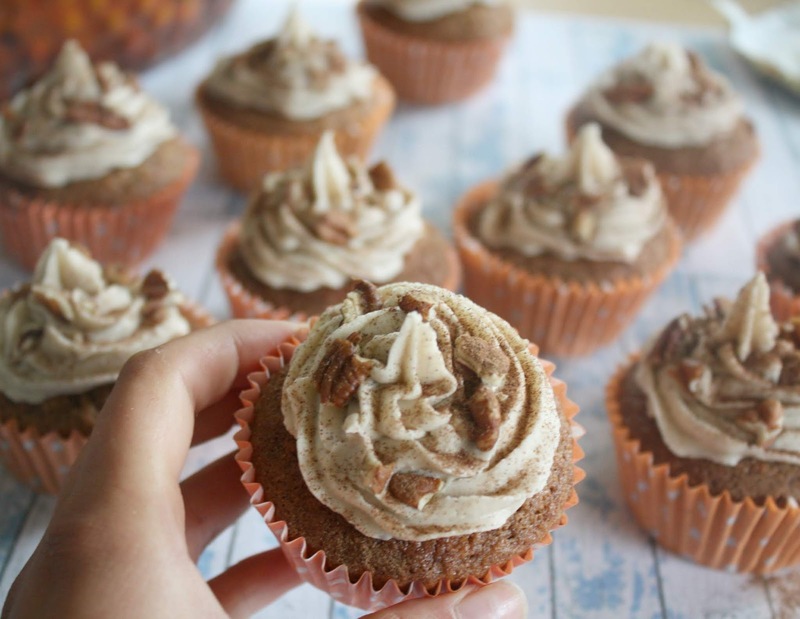 Welcome back to another autumn post and this week I'm featuing one of my favourite recipes lately: my "Pumpkin-Spice and Pecan Cupcakes." This time of year is my absolute favourite for baking, there are pumpkins all over the supermarkets for crazy-cheap and I love taking advantage of this in all things baking. Pumpkin-Spice seems to be everyone's favourite drink of choice at Starbucks in the autumn, but for me my favourite way to include it will always be in some sweet baking. These cupcakes are moist, loaded with spices and topped with a cinnamon buttercream for the perfect cupcake. 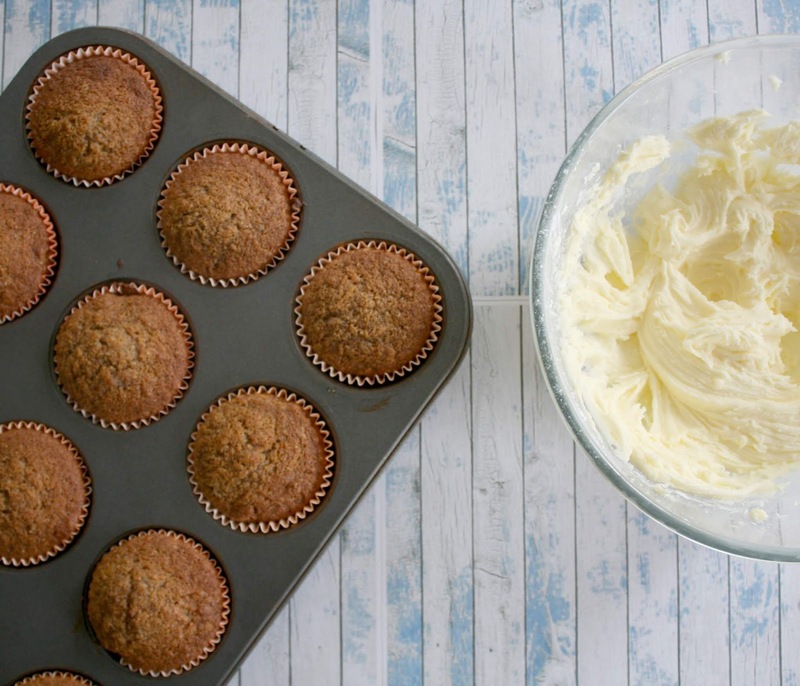 And unlike most of my other Vegan or Gluten-Free recipes you can read here this one is just a classic cupcake - no healthy substitutes or frills! Because we all need that once in a while right? Hope you enjoy this week's recipe and let me know what else you'd like me to try out this Fall. 2. In a large bowl, cream together the butter and sugar until light and fluffy. Beat in the eggs and whisk until combined. 3. Sift into the mixture the flour and baking powder, then add all the remaining ingredients and gently fold into the mixture. Feel free to add more cinnamon and spices to suit your taste. 4. Divide evenly into the 12 cupcake cases and then bake for 15-20mins in the oven or until a toothpick inserted in the centre of one of the cupcakes comes out clean. Remove from the oven and set aside to cool. 5. 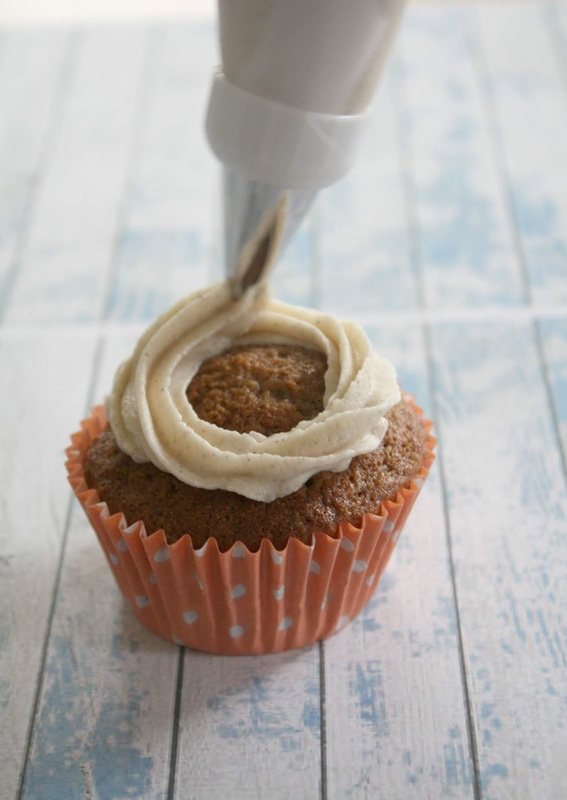 While the cupcakes are cooling, beat together the butter and icing sugar to make your icing (this is the bit that often gets messy oops) Add cinnamon to taste, and then pop into a piping bag and pipe that classic cupcake 'swirl' on top of each cake. 6. Sprinkle with Pecans and a final dust of cinnamon and enjoy! QOTD: FAN OF STARBUCKS PUMPKIN-SPICE LATTES OR NAH? Don't really get the hype with them myself! 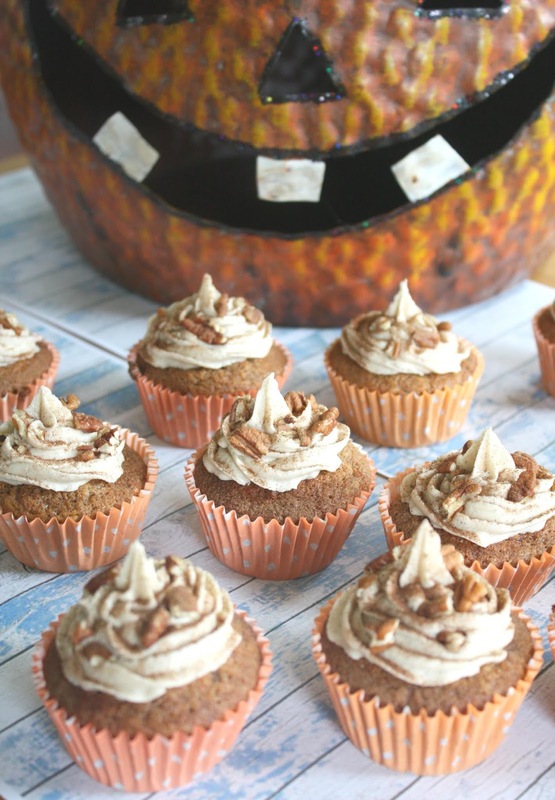 I like to make pumpkin cupcakes and I love pecans too. I will have to try this recipe for the holidays. 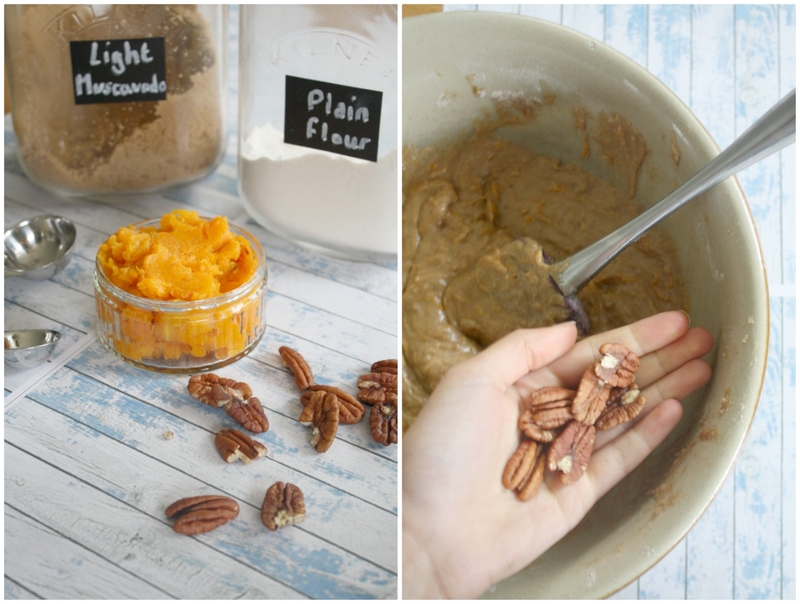 Cinnamon, pecans, and pumpkin! This recipe screams Fall! I love it! Can't wait to get in the kitchen and whip some up! Thanks for sharing! These sound so yummy! I'm definitely going to have to make a batch! Thanks for sharing! Those cupcakes look so delicious! I never had anything with pumpkin spice nor pecan I think. Cake wise I mean. I am so going to try this recipe! These cupcakes look incredible and amazingly yummy! Thank you for sharing this recipe and your photography is stunning! Morgan, these cupcakes look divine! I want to make something autumn/halloween themed for work and these might just be the thing. I absolutely love pecans in cake! They taste soo good! I am loving your pumpkin spice and pecan cupcake! I love that the flavors are so seasonal that pumpkin spice becomes so hyped up. I like that the cupcakes are easy to prepare and look super cute. Thanks for sharing! These look and sound delicious! I'm going to have to try these st the weekend. Pinned for later. 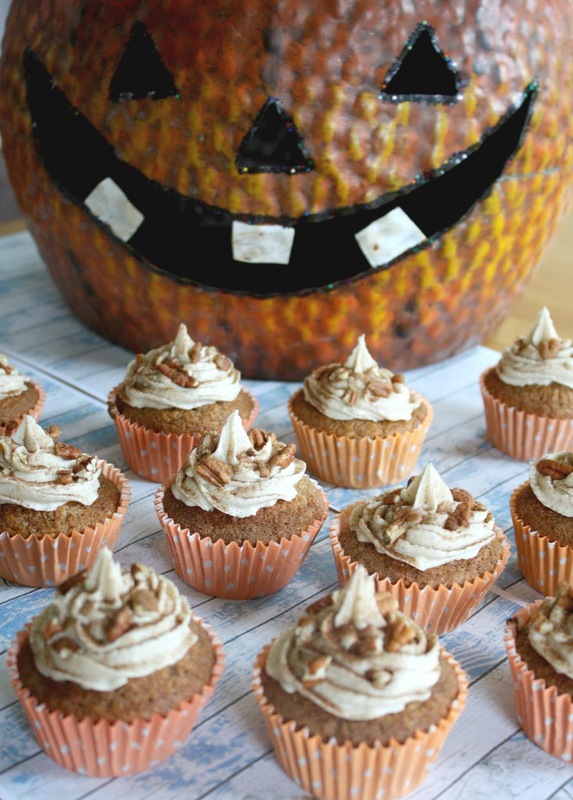 I've never tried anything with pumpkin in them but these sound delicious! Can't tell you how much I love this post, these cupcakes look so tasty and your food photography is seriously beautiful! !